The $25 million Michelson Prize will be awarded to the first entity to provide Found Animals with a single-dose, permanent, nonsurgical steriliant that is safe and effective in male and female cats and dogs. 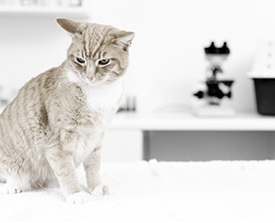 Found Animals has committed up to $50 million in international research grants to projects that are seeking to develop a nonsurgical spay/neuter method. To date, we have approved approximately 30% of invited proposals. Investigators should review our Resources prior to submitting a letter of intent for a Michelson Grant. Learn about dog and cat reproduction, our Policy for Animals Involved in Research, and other important tools.